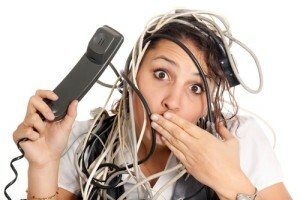 Here are two of the most common things to remember about phone loops. You can’t call your Halloo number from the the phone that you are forwarding to and expect that to work. Don’t forward your telephone back to your Halloo number if you use that number in a Halloo forwarding rule! It is like putting two mirrors facing each other. Phone looping isn’t limited to two numbers. You can create a long phone loop as well. Double check your settings after you make them to ensure that you haven’t made a phone loop! This entry was posted in Halloo Hints and tagged call forwarding, phone loop, virtual phone system by Kimm Antell. Bookmark the permalink.